Home > Runways > #Getnoticed bagged 14 talented models for FDCI India Couture Week’16! 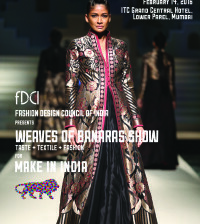 FDCI India Couture Week is around the corner, from 20-24th July 2016. It is a much awaited five-day event. 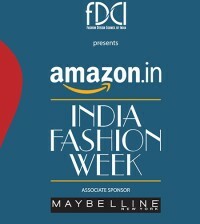 Every model aspires to be a part of the star-studded Indian couture week and wear ensembles by eminent designers. Owing to this Fashion Design Council of India (FDCI) offered a great opportunity for those wishing to take up modeling as a career by conducting #Getnoticed female auditions for the upcoming India Couture Week, 2016. 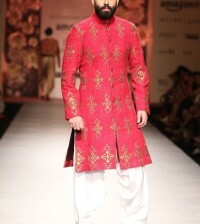 The esteemed Jury included ace choreographers Anu Ahuja, Arpana Bahl, Asha Kochhar and Vidyun Singh and prestigious names from the fashion fraternity Gaurav Gupta and Manav Gangwani. The judging criteria for models were how poised, elegant, and confident they were. Eminent Jury at the #Getnoticed female model auditions for FDCI India Couture Week 2016 along with Mr Sunil Sethi, President FDCI. L_R: Asha Kochhar, Anu Ahuja, Manav Gangwani, Aparna Bahl, Gaurav Gupta and Vidyun Singh. After a nation-wide search, 14 stunning faces were shortlisted to walk the ramp at the upcoming edition of FDCI India Couture Week 2016. We shall be seeing these beautiful models clad in exquisite apparels by the leading designers, adding more fervor to the five days of pure grandeur. FDCI conducted #Getnoticed female model auditions for the upcoming edition of FDCI India Couture Week 2016. 14 shortlisted models will walk the ramp at ICW 2016 to be held from 20-24th July 2016. The Top 5 models out of the 14 shortlisted at the FDCI #Getnoticed female model auditions for the upcoming edition of FDCI India Couture Week 2016.